Findlay, Jean. “The Perfect Proust Translation – But Not for Purists.” The Guardian, 15 August 2014. Shugaar, Antony. “Translation as a Performing Art.” New York Times, 27 January 2104. “Traduzioni e traduttori” – a letter by Luigi Rancati to Giorgio De Rienzo’s column “Scioglilingua” in the Corriere della Sera (15 July 2010; in Italian). I received a “work offer” and a repeat feedback for a language pair I don’t work for – we can say that, even if I did not work for this pair, the rate fell in the category of peanuts (.05 USD/word). When I told the unobservant colleague that, even if I did work for said pair, I would not accept anything less than my rate, she started emailing me saying who gave me such “arrogant confidence” and what was “my secret” to get such a huge (normal IMHO) rate (31 years of experience and successful career, formal education in translation and interpretations, and membership in two professional associations). When I said that if she found me arrogant, I found her extremely rude and asked not to email me again and delete my address, she started with cyberbullying and denying that she ever offered me a job (even when I send her email, which clearly contained an offer). I reported her unprofessional and unacceptable behavior on a LinkedIn Bad Practices list (name, rate offered and all). 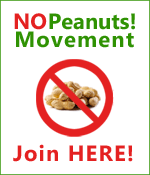 But I would really like to let the colleagues on this site know that we have come to the point where you are insulted and bullied if you dare refusing to work for peanuts. If you want more information, you are welcome to email me.